MINI SIZE 50 lb bag Mini / Micro Size SGN 100 size granules. To change the quantity of a delivered price item, add it to the cart first and then update the quantity on the next screen. Dolomitic Lime is used to raise the soil pH and to provide a high level of benefical calcium to the soil. Unlike Calcitic lime, Dolomitic lime also contains high levels of magnesium to the soil. 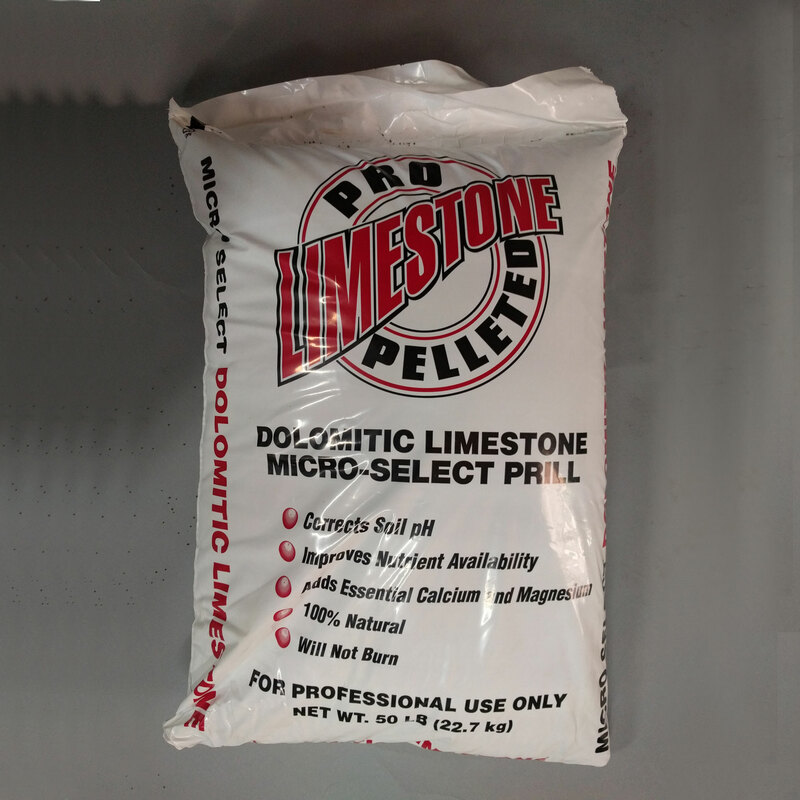 If you soil test calls for both calcium and magnesium, this is the proper lime product to use. Lime should always be applied based on a soil test. Applying too much lime can raise the soil pH to high, which could then tie up valuable nutrients in the soil and lead to increase plant stress or plant chlorosis (yellowing of the leaves). It is much more difficult to lower soil pH than to raise it, so always use lime judiciously.